The football World Cup in Brazil 2014 is coming soon, the infrastructure used for the event are a prime target for each category of bad actors, state-sponsored hackers intent on cyber espionage, cyber criminals intent on information theft fraudulent campaigns, cyber terrorists intent on obtaining information for attacks. Sporting events could be also an excellent scenario for hacktivists, the wider media audience could allow amplification of their cyber protests. Protest against the World Cup in Brazil are not new, last year, hackers defaced and replaced the FIFA Brazil website with protest footage. The attackers defaced the main page of FIFA’s website and replaced with a YouTube video, showing protesters marching, before riot police release tear gas and fire on the protesters with rubber bullets. 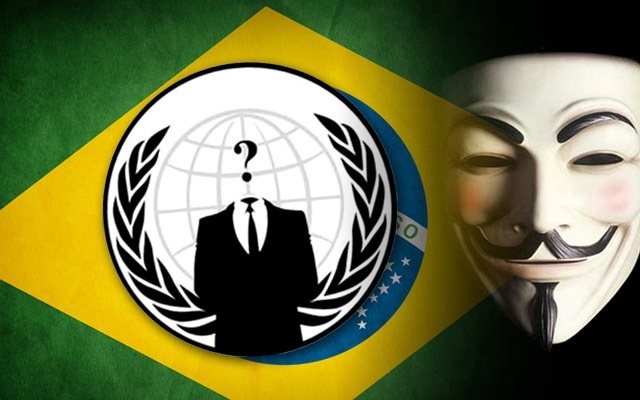 The collective of hacktivists Anonymous is planning a massive cyber-attack on sponsors of the World Cup in Brazil 2014, the hackers are arranging a campaign to protest against spending on the event in a country where people are suffering to get hold of basic services. “This time we are targeting the sponsors of the World Cup,” “We have already conducted late-night tests to see which of the sites are more vulnerable,” “We have a plan of attack.” revealed a member of Anonymous, known as Che Commodore, in a Skype conversation from an undisclosed location in Brazil toReuters journalist. As explained by the hacker, members of his team are already making reconnaissance on systems in the country, last week, the popular group hacked into Brazil’s Foreign Ministry computers and leaked highly confidential documents, including emails. “A hacker known as AnonManifest used a phishing attack to break into the Foreign Ministry’s databases and eventually access its documentation system” Che Commodore told Reuters. At the time I‘m writing, there isn’t yet confirmed that Che Commodore is a member of Anonymous, but but no denial has come from the popular group. “Until yesterday afternoon the hacker still had access to the system,” Che Commodore said. The Foreign Ministry temporary stopped the email service after the data breach, oncerestored he requested to the 3,000 email account holders to change their passwords. According to the declaration of a Foreign Ministry official only 55 email accounts were hacked and the only documents that were obtained where attached to emails and from the ministry’s internal document archive. “The problem has been resolved. Nothing important was leaked,” said the official. The Reuters confirmed that Brazilian diplomats abroad were left without email communications with their headquarters for several days. Probably the hackers are identifying and compromising the most vulnerable web services of the country for a later major attack. Che Commodore provided a list of sponsors that will be targeted which include Adidas, Coca-Cola, Emirates airline [EMIRA.UL], Budweiser. In time I’m writing there is no news of further attacks against the sponsors of the event, but its a serious error underestimate it, a coordinated cyber attack of large scale to the systems of the event could create important problems to the organization and represents a threat for security of participants.